First, we have to recognize the status of the industry. The need to lower risk from the owner perspective MUST happen. 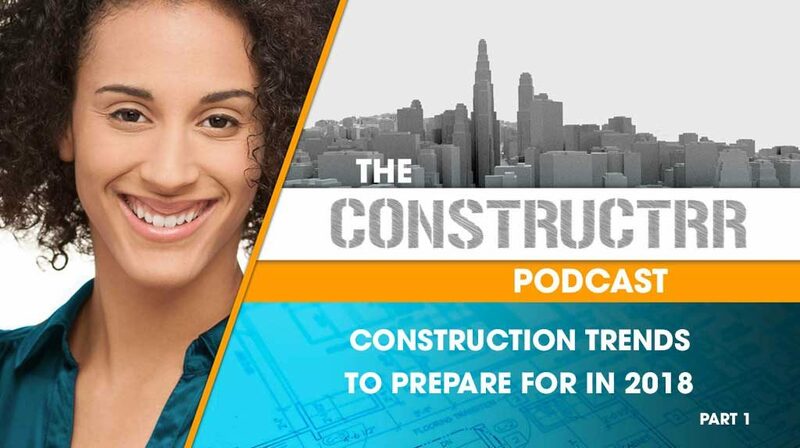 We talk about demography, and the impacts on Corporate Real Estate (CRE), buildings and infrastructure, attracting millennials, recruiting and retention. How the change in culture is affecting retail, but the economy as a whole, and policy. And last but not least we talk about how companies are looking at sustainability and health in their organizations. You’ll be hearing from a few more guests in part two of the 2017 Constructrr Podcast recap next week.